The Perth Convention Bureau is ready to shine in Singapore as Xzodus Pte Ltd was announced as the newly-appointed marketing representatives for the Bureau at a function held last week (29 Sept) at the Fremantle Seafood Market at Clarke Quay. The event was attended by more than 60 guests representing key association, corporate and incentive travel planners. The Australian High Commissioner Doug Chester and his wife were among the guests, together with the Lord Mayor of the City of Perth, Lisa Scaffidi, who travelled to Singapore to officially announce the appointment. Perth Convention Bureau Chairman Ian Laurance told guests that the PCB had been anxious to have an in-market presence in Singapore for several years. The Bureau’s managing director Christine McLean said Xzodus would have responsibility for developing business events opportunities from both the Singaporean and Malaysian markets. “Xzodus also represents Tourism Western Australia in Singapore so there are excellent synergies for us in appointing them to deliver marketing services for the Bureau,” she said. McLean said South East Asia was a growing market for Western Australia because of its close proximity to Perth, the fact that it was in the same time zone and had excellent airline access. And Western Australia was able to offer a sophisticated business events product. The Lord Mayor flew into Singapore on the same night to promote the attractions of the Western Australian capital as a business events destination. Mayor Scaffidi spruiked the city’s credentials as a destination for conventions and incentive travel groups to key decision makers at a function last night to announce the appointment of a local company to carry out in-market representation for the Perth Convention Bureau. 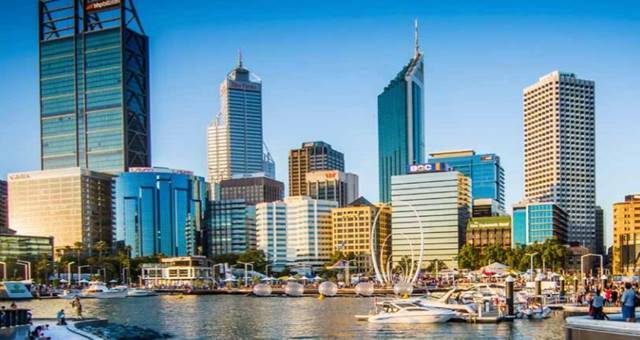 The Bureau, established in 1972, is responsible for marketing Perth and Western Australia as a destination for conventions, exhibitions and incentive travel groups. In 2009-2010 it secured business events that are expected to inject more than $90 million into the Western Australian economy over the next four years.